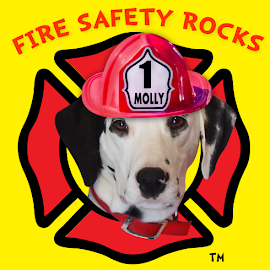 Fire Safety Rocks: New Dog to Join Our Family! 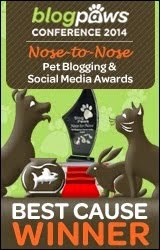 February 7th will mark an exciting day for the Fire Safety Dogs and me! “Deuce,” a 9 to 10 year old rescued Dalmatian, will be formally adopted by our family, from the Dalmatian Assistance League of Tulsa. Since 1988, I have adopted rescues and have found them to be some of the most loving animals. 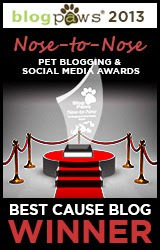 It all started with “Reggie,” (a Yorkie), then “Martie,” (an Alaskan Malamute), then Sparkles and finally, Spanner. Each of these dogs brought tremendous joy to my life, and I hope that I was able to bring some happiness into their life as well. When I was surfing the web the other night, I just happened to watch a video on a friend’s page, and when I saw the video for the first time, I shed tears. I could not believe how much Deuce looked like Sparkles! There were so many resemblances that it was uncanny! 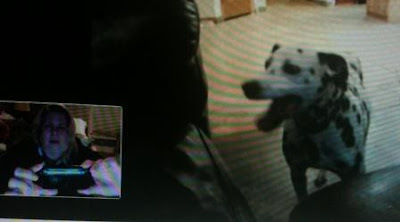 Two evenings ago, I “Skyped” with Deuce and Nancy from the Dalmatian Assistance League and fell even more in love with this delightful dog. 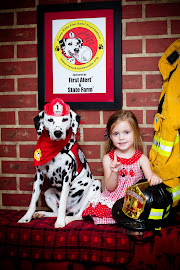 Deuce has been with the folks from the Dalmatian Assistance League for almost a year, just as Sparkles was. They even came from the same shelter! Nancy shared with me that it is possible the Sparkles and Deuce were related. When you see him, you will be amazed at the similarities! I can’t wait to bring him into my life and give him lots of love! Here is a video of Deuce at play. He is such a sweet guy! I love him already! 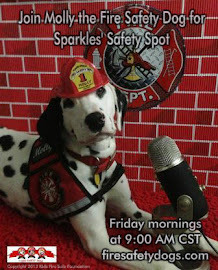 Join us LIVE, Tuesday, February 7th as we introduce Deuce to the world during Sparkles’ Safety Spot! Meet Deuce, hear his story from Nancy from the Dalmatian Assistance League of Tulsa, and join in the celebration as we sign the adoption papers! To learn all the latest, follow us on Facebook! Support the work of the Fire Safe Dogs today by clicking on the "Donate" button below. 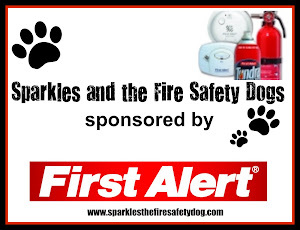 Your donation is tax deductible and will help support the fire safety dogs and our fire safety programming. Together, we can help keep children safe!